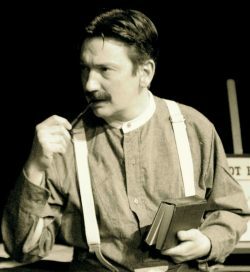 PLAYWRIGHT and actor Peter Gill continues his short Artsreach tour of his one-man show, Meet Tommy Atkins, at Yetminster Jubilee Hall 16th November. 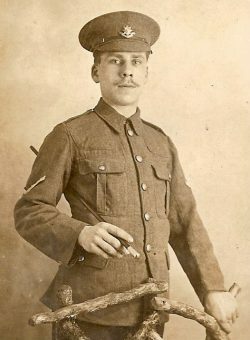 On August 4th 1914, reservist Tommy Atkins was immediately called up to serve his country. Within weeks he saw his first action in the fields of France and subsequently experienced the full scale of life in the Western Front trenches of the First World War – the horror, the pain, the misery, the boredom and even the moments of joy. In Gill’s powerful solo play, the audience is taken on a journey through Tommy’s war, and follows his life back home in Britain post war. Learn of his experiences in the trenches, fighting on the Somme, at Passchendaele and Loos; and also of the boredom, the loss and indeed the comradeship. Returning to Britain, Tommy shows us how a generation of returning men were maltreated and how, ultimately, it was his generation that forced through the foundations of the Welfare State. From the beginning of the war to the end, Private Tommy Atkins was there. Meet Tommy Atkins is Yetminster, starting at 7.30pm. Posted in The Play's the Thing on 1 November, 2018 .